A – 2nd fret:strings 3, 4, 5 & 6. What do the letters along the bottom of the Chord Diagram represent? Those are the names of the notes that you should be playing within the chord. i.e. for a C chord, you’re playing open G, C, E, and then a finger on fret 3 to play another C.
I like to use groups of 4 single down strums, unless the phrase is longer, each just a little spaced out. At the end I use 2 until the very end by end I mean the last stanza and by very end I mean the last F or you could use just one single F down strum. A simple strumming pattern and it sounds nice also I think you can learn a sort of riff for the beginning but I don’t know for sure. +1 is A LOT harder, trust me, but it sounds like the original track! It’s sounds sooo much better! Sara Beth Bareilles (born December 7, 1979) is a Grammy-nominated American singer-songwriter and pianist. Bareilles was born and raised in Eureka, California, United States. 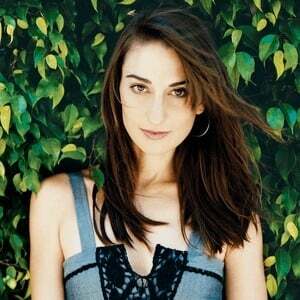 After graduating from UCLA in 2002, Bareilles performed at local bars and clubs. She issued two demos of mostly live tracks in 2003: The First One in April and The Summer Sessions in October. In January 2004, Bareilles released her first studio album, Careful Confessions. She signed a contract with Epic Records' A&R executive Pete Giberga on April 15, 2005.